This post is sponsored by Tree Classics. As always, I only work with brands I use and love. One of my favorite parts of the holiday season is decorating our Christmas tree. If I could, I would honestly leave our Christmas tree up all year. It just adds such a festive and warm feeling to any home. Since having Levi, we have started a few new Christmas traditions, including decorating the tree together. I have started to collect not only beautiful ornaments like these from Tree Classics that I hope to pass along to Levi one day, but also a commemorative ornament for each year. This year’s Christmas tree decorating was a special time, my mom was here and did a huge part of the decorating/set up also. 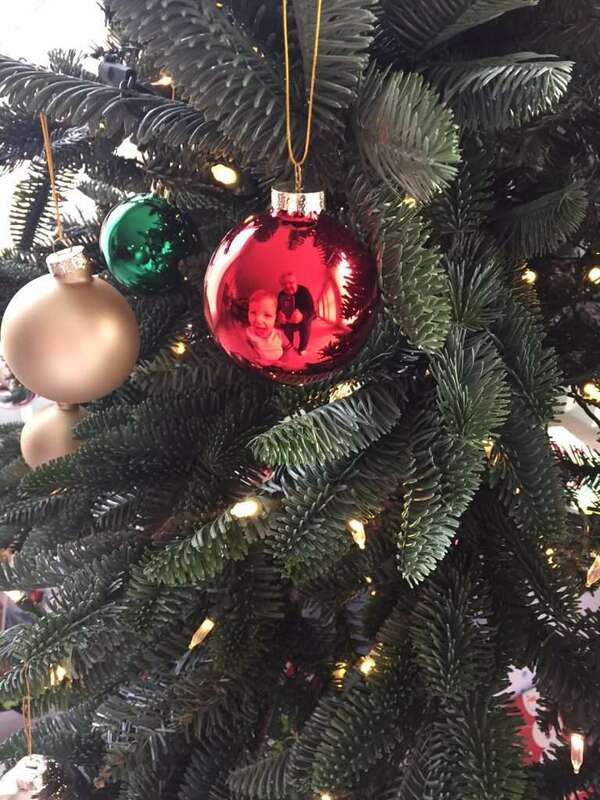 She and Levi also had a fun time taking ‘ornament selfies’ once we decorated the tree. 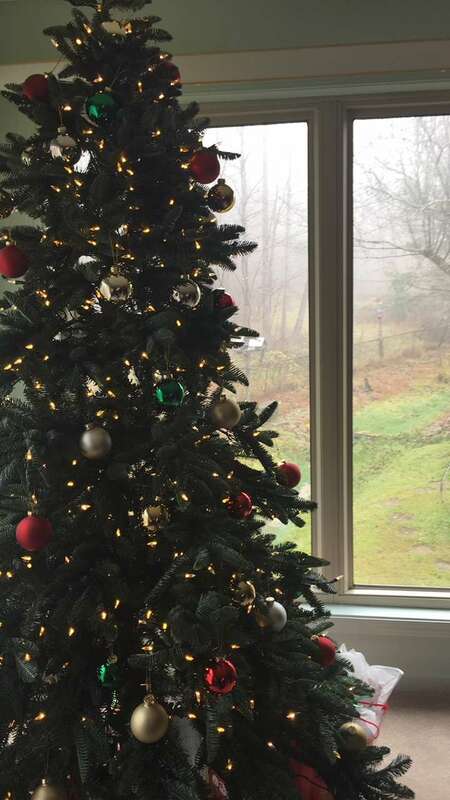 I also knew that I wanted a taller tree this year, something to fill up a large portion of the space since the area where it was going is a large corner and overlooks two beautiful windows. 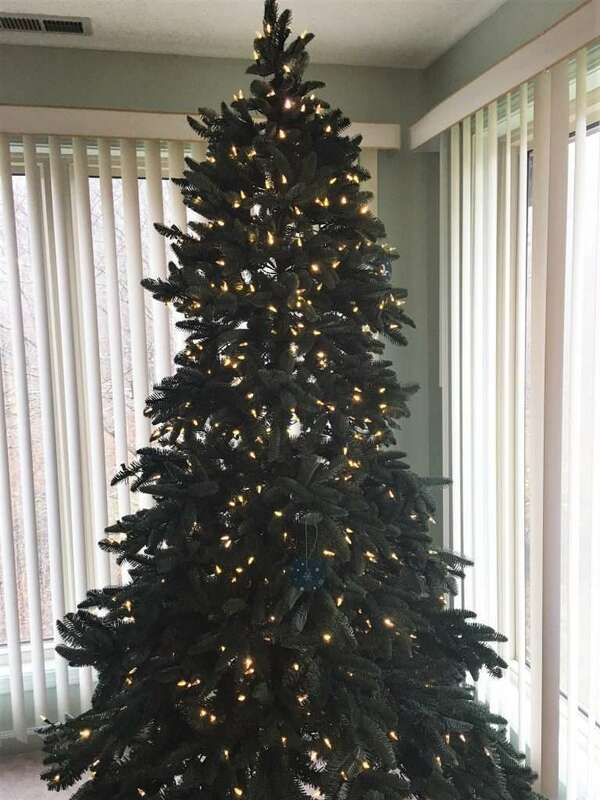 The Deluxe Noble Fir Snap LED Christmas Tree, I decided was ‘the’ tree. Not only was set up easy, it also stores easily in a bag (and the bottom has wheels for easy moving/storing). No more trying to put a tree back in a box after the season is over! After we set the tree up, I was tempted to leave it without any decorations it was so beautiful by itself! Levi and my dad both were intrigued by the lights changing colors – this tree has several settings that allow you to choose colored or white lights, or a combination of both! 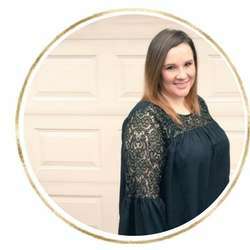 When it came time to decorate, this gold sequin skirt added a beautiful touch to the tree and matched our decor scheme perfectly! 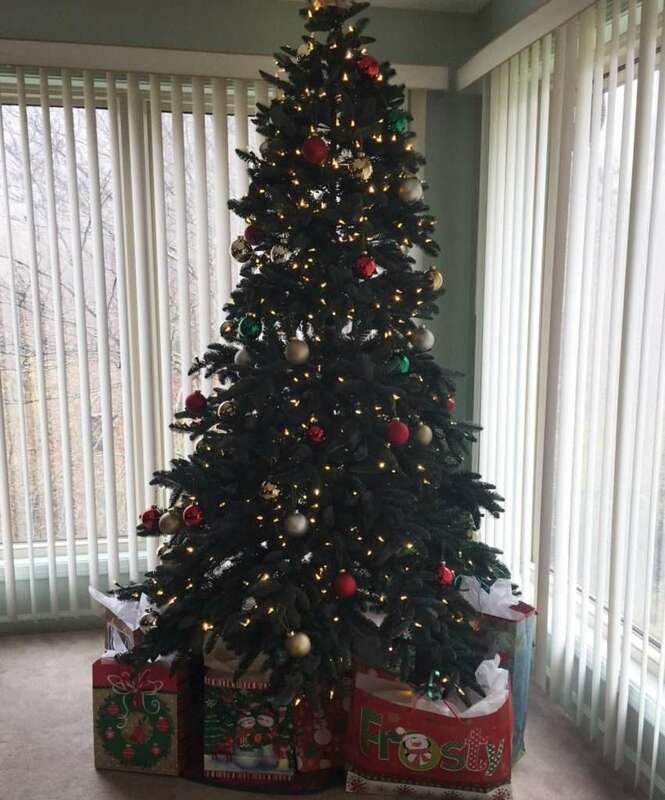 After that, we added the beautiful ornaments and angel tree topper. I have to admit, I am in love with this tree topper. 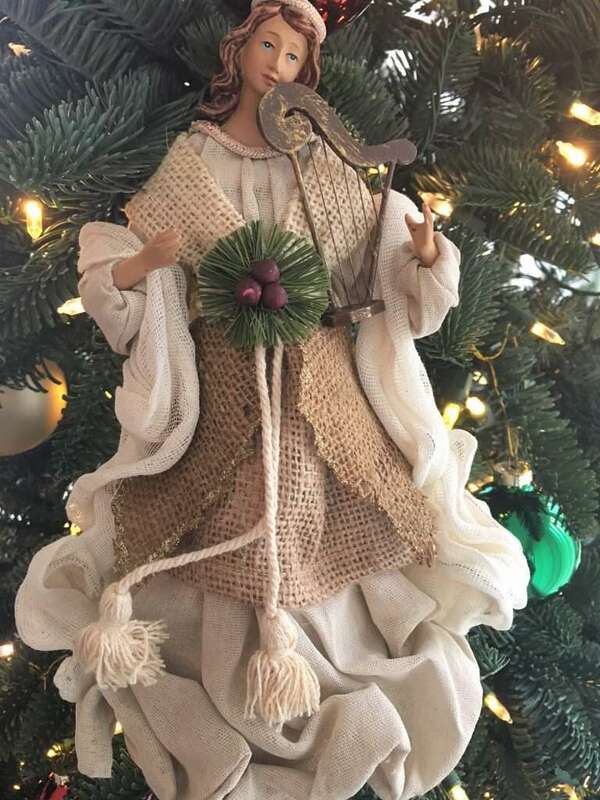 It is one of the most beautiful angel toppers I have seen! Decorating the Christmas tree this year is one of my favorite Christmas memories. Levi wasn’t a huge help, but he was there and loved watching us decorate. I also loved that my mom was able to help and spend time with us. What are some of your favorite Christmas traditions? 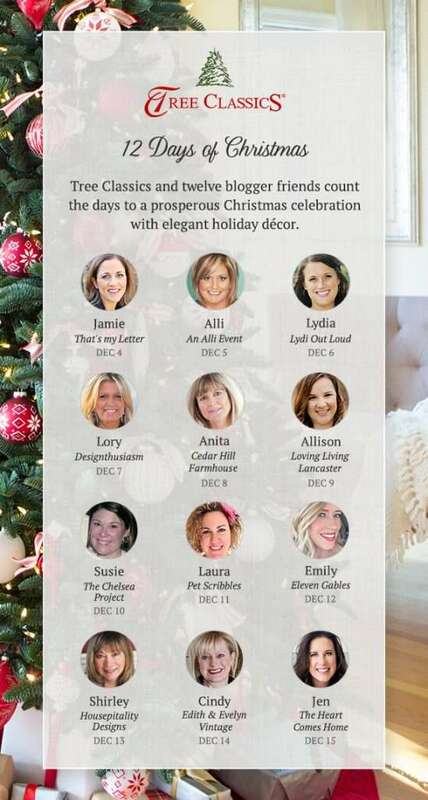 Be sure to follow along with my fellow blogger friends and check out their beautiful decor ideas! 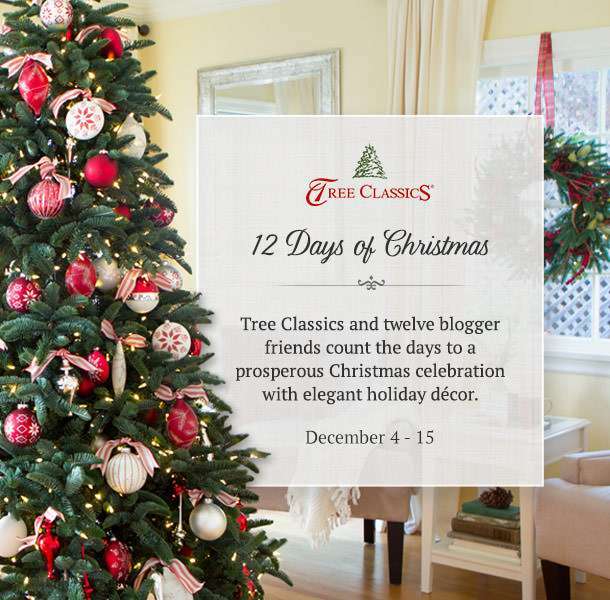 This is a most beautiful tree…(of course it’s a Tree Classic!) 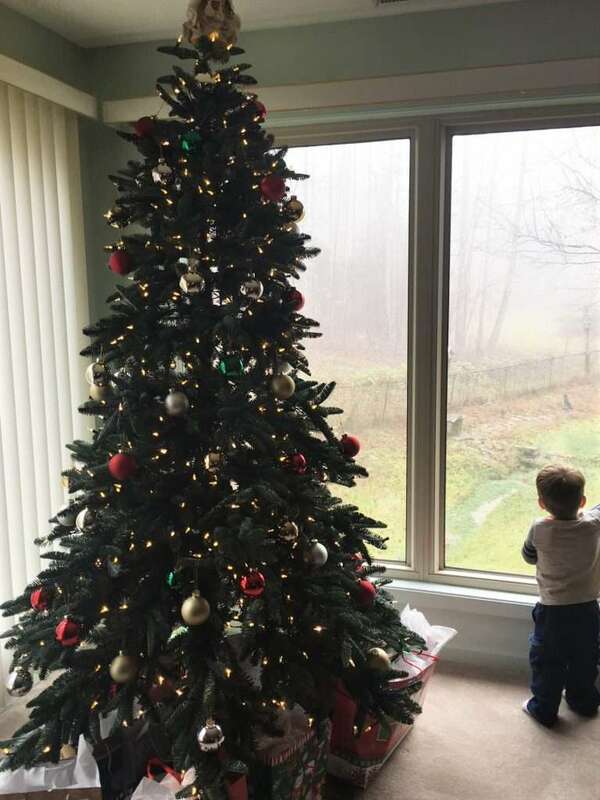 🙂 I so love the shape of it…I am happy that your ever so cutie, Levi loved watching you decorate the tree. I am sure in years to come he will be a big help! What a great place for the tree with that wonderful view! Merry Christmas to you and your family! How sweet to be creating wonderful traditions with your child! And what a gorgeous tree to add to your home!! Happy holidays! !